The co-ed paddling team prepares for their race. 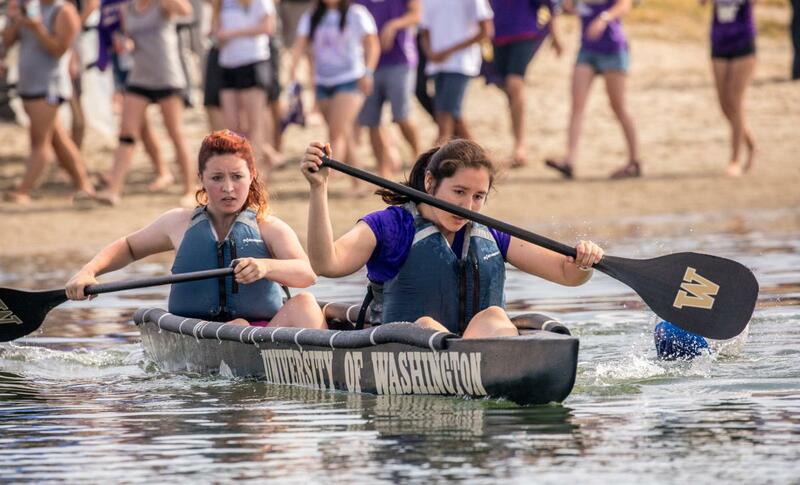 Context is key, for the UW Concrete Canoe Team not only earned seventh place overall at the national competition— they also earned the highest score the team has received since 2000. 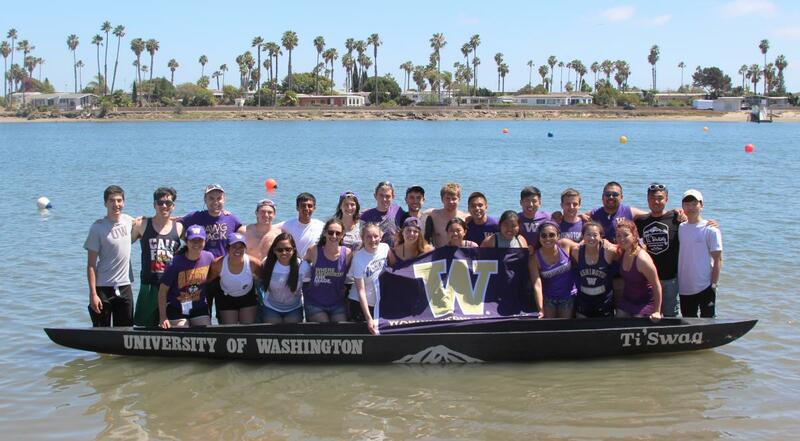 The team competed against 25 other teams at the ASCE National Concrete Canoe Competition 2018, held at San Diego State University from June 23-25. This is the sixth year in a row the team has advanced to nationals. 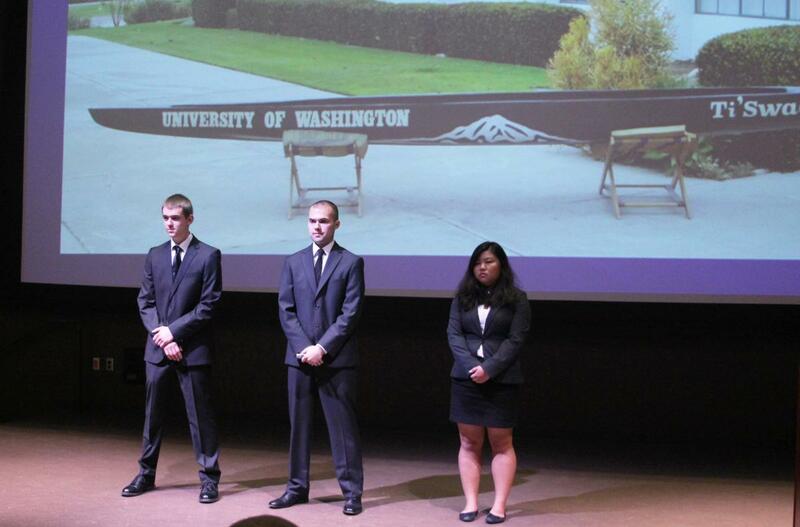 Following their presentation, students field questions from the judges. The female endurance team paddles against time through the course, earning sixth place. The team competed in four categories: final product, design paper, oral presentation and races. They placed ninth for final product, fourth for design paper and sixth for oral presentation. In the races, they earned sixth place in the women’s and men’s endurance races and co-ed sprint. As the team’s faculty adviser, research associate professor Peter Mackenzie-Helnwein has been impressed with the team’s independence as well as the diversity of the team members, which he says contributes to their success. Group photo of the team at nationals.